← iPhone Daily Glimpses is Back! 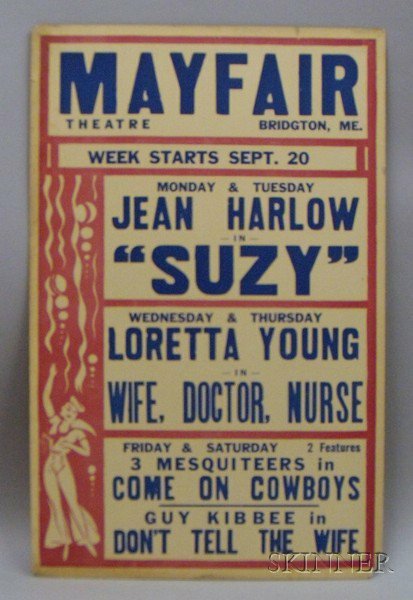 The block-buster Disney movie Bambi was playing at the Mayfair Theatre in Bridgton, Maine about fifteen miles from Lovell. Its premier came out in 1942, and it took three years to get to the Mayfair. Dad promised we could see it and we were going to the 7 o’clock evening show after he finished work at the saw mill. It was a sunny afternoon and my sister and I played outside near the house so we could keep track of time. It had been a harsh winter, snow piled high as telephone poles, and you could still see snow on the tops of mountains. We got tired of playing jump rope and hop scotch in the front yard, so we walked up the hill in back of the barn to look for spring wildflowers; of course it was too early in the season and we didn’t find any. We figured it was getting late and we hurried back to the house to get ready. By four-thirty we were cleaned up, dressed and waiting at the door when Dad got home. After a quick supper of corn chowder and biscuits we were seated in the our 1940 4-door maroon Ford and on our way. It would take about 40 minutes for the twelve-and-a half mile trip. We didn’t want to be late buying tickets and have to sit in the last row of the theatre or worse yet up in the balcony, so we took the dirt back road that was quicker than the roundabout highway. Even though it was a short cut, and we’d taken it many times before, I didn’t like it that much; the dense pine trees on both sides of the road gave me an eerie feeling. 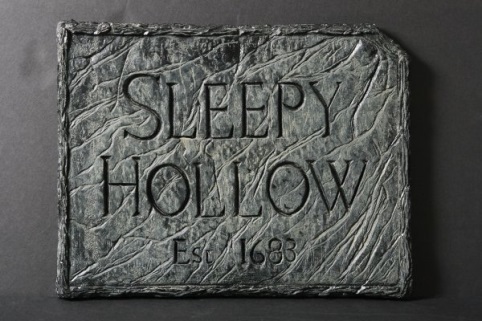 Dad loved ghost stories, he read those kinds of books, and his favorite was, The Legend of Sleepy Hollow. It was getting dark and we were about halfway to Bridgton, and Dad like he’d done many times before, tried to spook us with his low raspy voice, “Look out for the Headless Horseman.” We played his little game every time. We kneeled on the seat, looked out the back window, covered and uncovered our eyes, tried to muffle giggles, and said rather loud to one another, “Do you see him, no; I don’t see him, do you?” Then we shrieked, “Stop it, Dad, you’re scaring us.” He loved that, it always made him laugh. It was dark when I opened my eyes, and in the distance I saw the lights on the back of the car. I don’t remember falling. 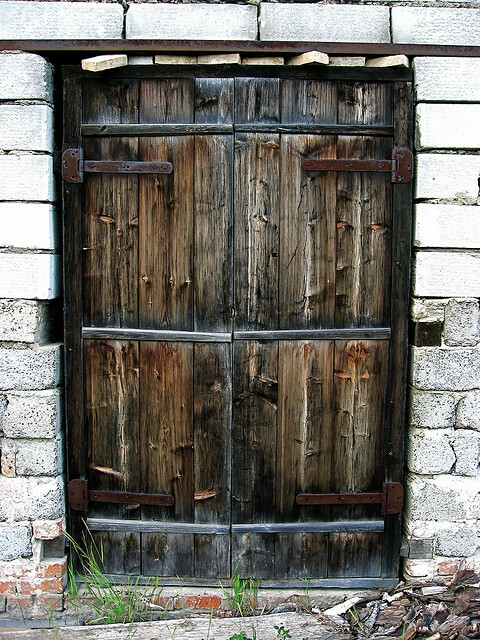 I just remember putting my body up against the door to hide my fingers touching the door handle for support. I was smaller and weaker than Marlene and I needed an edge. Laying there in the ditch I felt dirt all over my body and it burned. Even my nose and forehead burned. The palms of my hands and knees burned most of all. I got up and felt a little woozy. 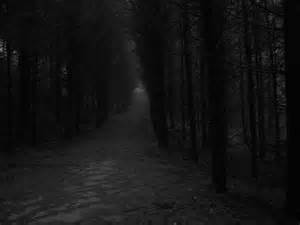 But, all alone I was more afraid of what might be lurking in the woods beside me, and I ran stumbling on the ruts toward the shadow of a figure standing next to the car’s back lights. I heard Mom scream, “Christine, Christine, where are you?” I heard Marlene crying. Then I saw Dad, his flashlight beam shining on me, and I heard him swear, “Oh, God, Oh God, no” Or was he praying. It seemed as if everyone was crying, even me, as Mom wrapped her heavy sweater around my bruised up body, and held me on her lap in the front seat. I kept saying, “I’m sorry, Mom, I’m sorry, I fell.” Everybody got very quiet, probably too shocked to speak at what just happened. Dad pushed the car to the max 40 miles an hour the rest of the way to get into town and to the doctor’s office. Mom had lived in Bridgton before marrying Dad. She had worked at the ice cream parlor on Main Street and she knew Doc Randall best out of the three docs in town. She knew exactly where he lived, his office was part of his house, and he was always home at any hour to take care of emergencies. Mom rang the office door bell and it took a few minutes for Doc to get there from the house. We saw the porch light go on first, then the lights in the office. He was putting on his white doctor’s coat when he opened the door. One look at me and he said, “Addie, bring her straight into the exam room.” They were on a first name basis because Doc frequented the ice cream parlor when Mom worked there. They used to talk about her Mom and all the good work she did taking care of some of his older patients. Grandma wasn’t a nurse, but she had a knack for taking care of people, and doc trusted her. He said to Dad, “Karl stay in the waiting room with Marlene. I’ll let you know how Christine is doing after I examine her.” Dad’s breathing sounded off and he kept closing his eyes like he was holding back something he didn’t want anybody to see. Marlene was puffy-eyed and she looked scared. I don’t know why, she was the strong one, but a little queasy around the smell of medicine. In the short hallway on the way to the exam room the last thing I heard was Dad talking to Marlene, his favorite of the two of us, about her responsibility as the older sister, and never ask to play that go and stop game again. The lights were even brighter in the exam room and the stainless steel table looked cold and uninviting. Mom helped me sit in the middle of it. She took off her heavy sweater wrapped around me, and peeled off my dirt covered jacket, shirt, overalls, shoes and socks. All the while she told Doc the whole story of what happened. I sat there in my pink cotton underpants, and Doc covered me up to the waist with a plain white sheet. Mom stayed with me while Doc checked for anything broken or cut bad enough to need stitches. It was a slow process; there were cuts and bruises everywhere on the exposed parts of my body and where the clothes were torn in the fall. Doc said I was brave and I could help and I took that for real. I put on a serious face and got busy soaking the gauze in a bowl of warm water to clean the wounds. I squeezed antibiotic suave on the scrapes and cuts I could reach, and helped bandage them up. My arms, legs, belly, chest, forehead, chin and the tip of my nose were covered with various size bandages and sterile gauze. Doc let me hold the small glass syringe with the long needle, and I handed it over for him to draw up and inject the tetanus vaccine. I watched doc’s every move, kept quiet, didn’t ask any questions and most of all helped. Yes, I was brave; I never flinched or cried out, even though it hurt and I wanted to. When it was all over, Doc went to talk to Dad and Marlene while Mom helped me brush off my clothes and put them on. Doc came back with a clean jacket, just a loan from his daughter to cover up some of the bandages. After he got my bandaged arms into the jacket sleeves, he told me I was a good helper just like my Grandma. I had the same knack of knowing what to do without much back and forth talk. And he was happy that I survived that nasty fall with only scrapes and bruises. There was no question whether I felt well enough to sit through the Bambi movie; no one even dared suggest it. I was determined to see it even though I’d look weird in public with the bandages on my face and hands. We made it to the theatre just in time; it was two streets away right on Main Street opposite the town hall. Mom knew the ticket girl, Lucy and the usher, Lance, sister and brother, and told them the whole gory story. I tried to tell Lucy how happy I was to finally get to see the Bambi movie, but, she interrupted me and said, “You poor thing, after what you’ve been though, let’s get you seated. I’m going to give you and your family special tickets.” She winked at Dad. Mom took the tickets and gave them to Lance. He looked at them and his eyes widened. He smiled right at me and walked us all the way down the center aisle. The lights were still on and I could see the theatre was packed with people on both sides and in the balcony, except for four empty seats. I could not believe it, we got to watch the movie from reserved seats right in the front row. When the lights dimmed, the music started and the movie credits were over, my eyes followed the beginning scenes through the dark forest, as birds peeped and Friend Owl flew by to perch on a branch. I was right there in that shadowy place and it was not scary at all. Just as Mr. Novis and the choir sang “Love is a Song” in the movie, I’d been singing the lyrics for days at home, and I knew it by heart. 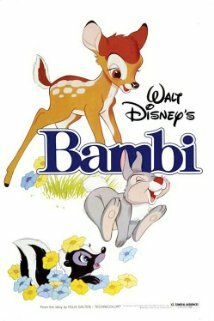 Dad was happy; it was a welcomed change from “Buttons and Bows.” The Bambi movie in beautiful Technicolor took my breath away, and the “Love is a Song” melody played over and over in my head. It helped. At least for that hour-and-a-half in the theatre I forgot all about the burning cuts, bruises and embarrassing bandages. Life may be swift and fleeting. Hope may die yet love’s beautiful music comes each day like the dawn. One simple theme repeating like the voice of a heavenly choir, love’s sweet music flows on. As the story goes, Bambi grows up and goes through a lot of bad things. He’s tested by fire, fear and loss. And his mother is always there to help. Well, his pals Thumper and Flower help too. Along the way he has to be strong and brave, and grow up to be noble and courageous. It took strength and bravery to survive and take his place in the world. I thought about this and what I’d just gone through, maybe not as bad as Bambi, but it struck me that I might be a little bit like him, strong and brave. You never know what memories stay with you and make a path for you to follow. For me it was the Doc Randall-Bambi connection and maybe what Dad did too. 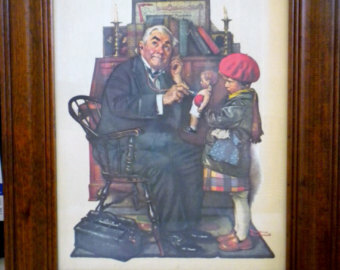 In Doc Randall’s waiting room near the office phone, he called the theatre and talked to Lucy, the ticket girl. This entry was posted in Happily Ever After, Happily Ever After - Back to the Beginning, My Blog, My Book, My Books, My Entries and tagged Bambi movie, bandages, Bridgton, dark, Doc Randall, go and stop game, Love is a Song, Lucy and Lance, Maine, Mayfair Theatre, memories, path to follow, reserved seats, scary forest, the fall, The Legend of Sleepy Hollow. Bookmark the permalink. Wow! I was lost in your story like I was actually there. Totally engrossing. I wanted to read on and on and can’t wait for the next installment. Thanks volcanowoman! I put more description in it just for you! You’re my #1 reader! Thanks so much Ted. Glad you liked it. A page turner is what I love to hear! I wondered who had reserved the front row seats! I see what was meant about transitions in the comments in the first chapter post. Your words slips right from the first into second chapter well. I like the way you tied the Doc in with this experience by telling us about your grandma and how she helped people. Umm, one thought, you mention the old car. It’s old now, being 1940, but would you have thought of it as ‘old’ back then? Your story has an immediacy to it, and that word seems out of place. Christine, thank you so much for your “specific” comments. And I appreciate your keen observations. Yes, you’re right about the old car not being an old car back then. Good catch! Actually Dad called ahead from the Doc’s office and spoke to the ticket girl. So, it was all set up when we got there. Things like that happened in a small town. Bet she spoke to some people already sitting there and they changed seats for the little girl who just fell out of a car and still wanted to see Bambi!